SEATTLE, Nov. 15, 2018 /PRNewswire/ -- The wait is over! And Alaska Airlines is ready to celebrate. 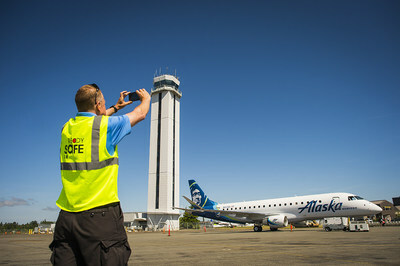 The Seattle area's hometown airline announced today tickets are now on sale for 18 daily nonstop flights between Paine Field-Snohomish County Airport in Everett, Washington, and eight West Coast cities. The first day of scheduled service is Feb. 11, 2019, subject to government approval. *Offer Terms & Conditions: Limited time offer. Double miles for Alaska Airlines Mileage Plan members who fly a qualifying nonstop flight between February 11, 2019 and March 31, 2019, between Everett (PAE) and any of the following airports: Portland (PDX), San Francisco (SFO), San Jose (SJC), Las Vegas (LAS), Los Angeles (LAX), Orange County (SNA), San Diego (SAN) or Phoenix (PHX). Service to/from PAE remains subject to government approval. Mileage Plan member must register for the promotion here before the first qualifying flight. 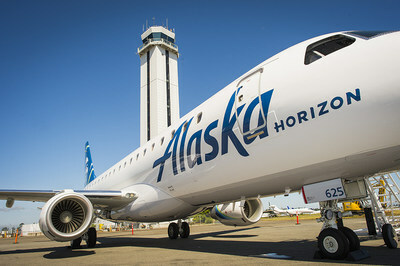 Flight must be marketed by Alaska Airlines and operated by Alaska Airlines, Horizon Air or SkyWest. Mileage for qualifying flights must be credited to a member's Mileage Plan account. Not valid on free or award travel. Double miles do not count towards Mileage Plan Elite Status. Double miles will be awarded within four to six weeks of meeting the promotion's qualifications. All terms and conditions of the Mileage Plan program apply. Offer subject to change without notice. *General Terms and Conditions for introductory fares: Seats are limited and may not be available on all flights or all days. Some markets may not operate daily service. Fares are nonrefundable, are priced in U.S. dollars, and include all applicable taxes, fees and charges based on one-way travel. A ticket purchased through one of our reservation call centers will cost $15.00 more per person than the advertised fare. Differences in fare and taxes, fees and charges apply to any changes made after ticketing. A $125 change fee per person applies to changes made within 60 days of ticketed travel. Other restrictions — such as day of week, blackout dates and advance purchase requirements — may apply. Some flights may be operated by Horizon Air, SkyWest or PenAir. Additional U.S. taxes may apply to itineraries involving more than one stopover or a stopover lasting more than 12 hours. Bag fees apply for checked baggage. 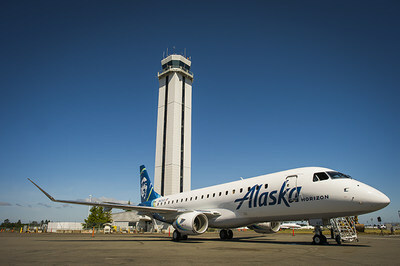 See alaskaair.com or call 1-800-ALASKAAIR for complete fare rules, checked baggage policies and more information.